This year marks the 25th year of observing Martyrs' Day by separatist and mainstream political parties of Jammu and Kashmir. Sections of the Hurriyat Conference and Jammu and Kashmir Liberation Force, in lieu of Ramzan, have decided not hold a strike this year. The day is to mourn for 22 young men who were shot by forces of the Dogra rulers outside the Srinagar Central Prison. An official holiday in the state, past few years have seen little or no violence in the region on this day. But the police are leaving nothing to chance and have imposed restrictions and deployed additional forces in six areas of the capital city. These areas are Maisuma, Nowhatta, Khanyar, Rainawari, Safakadal and M R Gunj. Leaders of the separatist parties have been put under house arrest. These parties had reportedly planned a joint march to the graves of the Martyrs in Naqshband Sahib area of the old city. 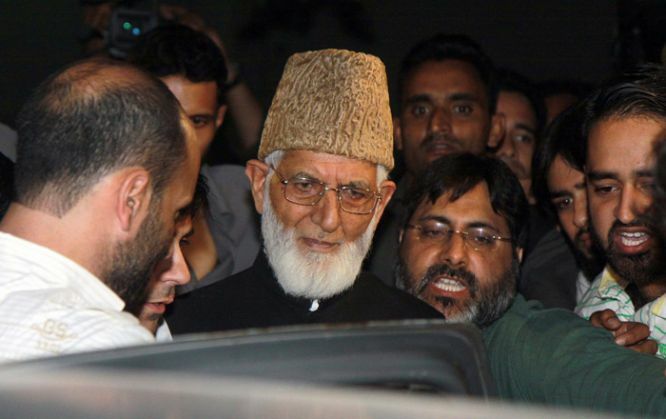 All Parties Hurriyat Conference's SAS Geelani, and Mirwaiz Umar Farooq, Jammu and Kashmir Democratic Freedom Party (JKDFP) President, Shabbir Ahmad Shah, have been put under house arrest, ahead of the Martyr's Day rally on 13 July. Geelani, Mirwaiz and Malik had announced their plans to jointly march to the Martyrs' graveyard at Naqshband Sahib in old city. At Geelani's iftar party on July 11, Mirwaiz Umar, and JKLF's Chairman Yasin Malik pledged to continue freedom struggle for Kashmir. "On this day, he said the suppressed Kashmiris revolted against the despotic rule of Maharaja. They raised their voices against the injustices and received bullets in their chest thereby laying the foundation of the beginning of new chapter of Kashmir struggle." A few Kashmiri Pandit organisations had observed the day as 'Black Day' in 2014. They allege that mass lootings and damage was caused to the communities' properties on the same day in 1931. Why is Martyrs' Day observed? In 1931, many supporters of Abdul Qadeer had gathered outside the Srinagar Central Prison to attend the court proceedings of the case against him for trying to defy the Dogra rule. When a few people got up to answer the call of azaan, they were shot by forces of the Dogra rulers. In the incident, 22 young men died who were later buried at the Naqshband Sahib graveyard in the city. While the event took place 84 years ago, the political parties of Kashmir started observing 13 July as Martyrs' Day or Youm-e-Shohda since 1990. There have been calls by civilians for a memorial park since 2007, that have gone unanswered. Government officials offer prayers and flowers on the graves of the victims on this day. 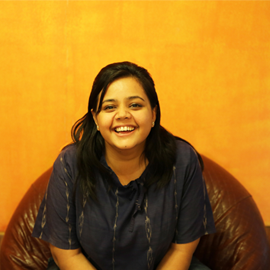 Before being drawn into the yellow, sunlit Catch office, Aastha worked as a Junior Assistant Producer for ET NOW. She has lived her life in Delhi and Mumbai, managing to get an education while traipsing back and forth. She studied media and culture studies at Tata Institute of Social Sciences, Mumbai, and has a degree in English Lit from IP College, Delhi University. Constantly caffeinated, she has a weirdly sharp memory for Bollywood music from the '90s.